Deer hunting is quite popular in North America, Australia, New Zealand and, to a lesser extent, some of the Northern countries in Europe. Not too long ago, what is considered a ‘sport’ nowadays, used to be just a way of life. People used to hunt to eat, and ultimately, to survive. Deer hunters say that the historic legacy of the sport is part of what makes it so addictive. The thrill of the hunt appeals to some instinct deep inside of us. Eating venison that you have bagged yourself also appeals to your taste buds in a big way. What is deer hunting? If you’ve just watched a movie about the good old days, and you have visions of walking through a wood, large shotgun balanced on your shoulder as you stalk a buck – think again. Even very experienced hunters find it hard to stalk deer. The white-tailed deer is the most popular animal hunted in the United States, and this is because it presents a significant challenge to the average deer hunter. It is one of the wariest big game animals in the world. The conventional method to hunt white-tailed deer is very simple: just sit down, keep still and wait. That’s the golden rule. Deer hunters build tree stands or just stay against a large tree with the wind in their face in order to put themselves within range of the animals they are hunting. Another trick of the trade is not to attempt to shoot the animal whilst it’s running because even if a hunter is lucky enough to make the shot, the odds are that the animal will be wounded but in good enough health to keep running, so the hunter will never recover his or her deer. True hunters take their time when it comes to taking the shot, and they aim for the high percentage heart-lung area. In the United States, you can generally hunt with a rifle, a shotgun or a compound bow. It’s important to double check the specific state rules for hunting weapons before heading out in the field. Camouflage is also a big part of deer hunting – bow hunters dress in full camouflage clothing and make-up in order to get as close as possible to the game. Where to go hunting is another issue. If you’re lucky enough to live in the countryside and you habitually see deer during the off-season, then you are probably just raring to go when the hunting season comes around. Hunters can also ask permission to hunt on private land. Deer can be a nuisance, and the property owner might be more than willing to give the go-ahead. The other option is to hunt on public land. 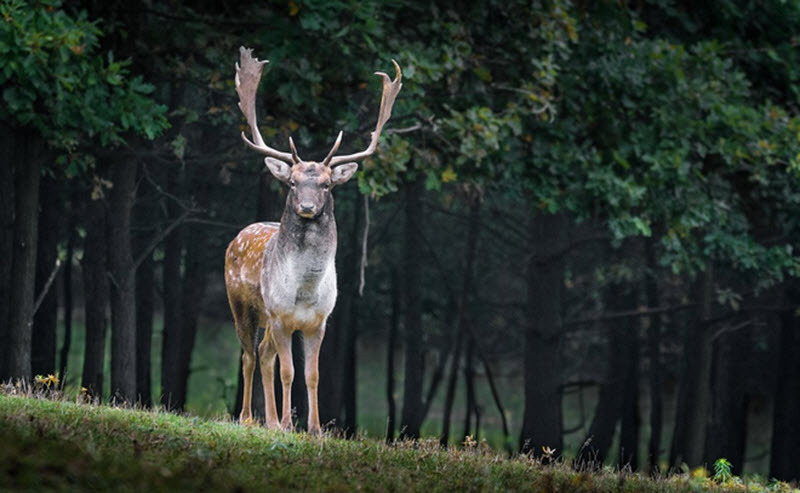 In the United States, there are many good deer available on public hunting grounds, and you can easily find out where it is legal for you to hunt by calling the U.S. Fish and Wildlife Service.